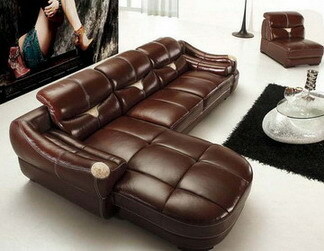 Leather can add beauty and style to any number of items in your home, office, car or wardrobe. Whether you’ve chosen leather for your sofa, chairs, car seats, boots, bag or something else, you spent a lot of time and money to get just the right leather to suit your style, and now you want it to last. Pristine leather can enhance your style and let people around you know you value the finer things in life. But faded, worn or damaged leather can look worse than no leather at all. Trust Leather Repairs Northampton to keep your leather looking its best. Good leather should last a lifetime with the right care. But mishaps can occur, and even the best leather will start to wear after years of use. The best way to protect your leather’s value and beauty is to address damage as soon as you spot it. The mobile leather repairs team at Leather Repairs Northampton offers you expert repairs and care for all types of leather, right at your home or workplace. Think expert repairs are too costly a prospect? If you’re thinking of trying your hand at DIY leather repairs, keep in mind that it takes a special set of skills and tolls to erase damage on leather without leaving any trace. At Leather Repairs Northampton, we offer mobile leather repairs at a fair price – making it easy to save your leather and your money. You don’t have to live with less than perfect leather or wait around at a repair shop to restore your leather to its former glory when you trust our team. No leather repair project is too big or too small for the mobile leather repairs experts at Leather Repairs Northampton. Want tiny scuffs and stains erased from your leather car seats? We can help. Need major repairs to bring new life to an heirloom leather sofa? Our team does that too. We handle all types of leather damage – rips, stains, scuffs, burns or just standard wear and tear. We’ll show your leather the love it deserves. Don’t let damaged or dated leather detract from your style. If your leather is looking less than perfect, call Leather Repairs Northampton today for mobile leather repairs. You’ll get prompt, on-site service, great value and results for your leather that are second to none. Because we use the best tools and techniques on each job we do, we can promise your leather will look better than ever when our work is done.